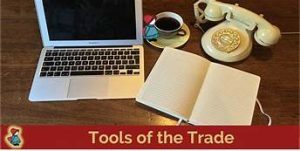 As with any trade, you need TOOLS to help you better market your programs. There are far too many to try to talk about all of them on this one page, so I’ll split them up by category. No, you do not have to have ALL of them. Pick and choose the ones you need for your particular situation. What do you do with all of those logins and passwords? I use two methods to manage them. I use RoboForm to store the basic login data for each of the thousands of sites I cannot remember. Program Type: Safelist Mailer, Traffic Exchange, Revenue Sharing, (PTC) Pay to Click, etc. Payments rcvd thru: How do you receive your commissions? Sponsor: Sponsor’s name, email, ID, etc. Advanced System Repair (ASR) Pro is the answer to all of those annoying computer problems! ASR Pro is simply the best system repair solution. Scan, fix, clean, optimize, boost and protect your PC! ASR Pro includes everything you need to keep your PC running like brand new again. Advanced System Repair is compatible with Windows Vista, XP, 7, 8, and 10. Download and install ASR Pro on your computers today! What is Tracking, and why use it? Although there are many tracking tools, I use Click Magick. Let’s say that you promote your program’s affiliate link all over the place. How do you know where the clicks in your ads came from? You might send your emails and ads to the same site for many months, but no one ever clicks on your link. So, why continue wasting your time advertising someplace that does not get you any referrals? Your advertising efforts would be better spent advertising where people ARE clicking on your ads. No? Do you need a quick banner/ad creating service? So easy to use, even the most design-clumsy users can be creating professional designs without a nervous breakdown. They host your Splash Pages, Lead Capture/Landing/Squeeze Pages and Banners for you. Landing Page, Lead Capture Page, Squeeze Page, Lead Page are all the same thing. A Splash Page does not contain the Video feature or Autoresponder feature. Join for free and try it out. Free members earn 5% for each purchase your referrals make, and can have ONE free Splash Page, but not a Squeeze Page. AdKreator Design blog post about the difference between a splash page and a landing page, lead capture page and squeeze page. Remote desktop software that actually works! Strong cryptography. TLS makes AnyDesk as secure as online banking. The identity of the participants is verified by the AnyDesk sever network. Fast transmission. DeskRT makes AnyDesk the world’s fastest remote desktop application, which allows using AnyDesk for hours without getting tired. Set a Password to access your computer at any time. Use the access control list feature to enhance security even more. Work remotely from wherever you are. Every time you need to access a remote screen, whether it is just across the office floor or on the other side of the world, you can use AnyDesk. AnyDesk ensures secure and reliable remote desktop connections for IT professionals and on-the-go individuals alike. Download AnyDesk for Windows at http://www.anydesk.com/. AnyDesk is free for private use. After installing AnyDesk, connect with me at ‘wayne-desktop-3@ad‘. AnyDesk is very easy to use.